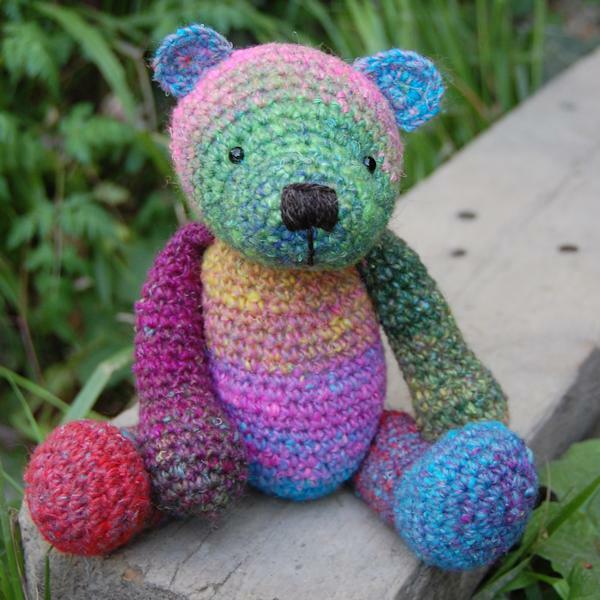 These hand dyed bears are crocheted rather than knitted giving them a completely new look. 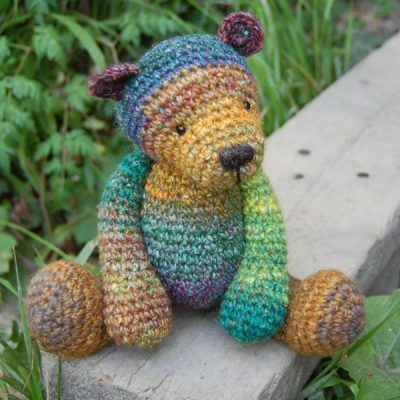 Each bear is a very special one-of-a-kind made from bespoke hand dyed yarns, so, no two bears are alike. Using natural vegetable dyes where possible (avoiding the use of harsh chemicals) and spinning a mix of our white rare breed wool, pure cotton and a little silk ensures the dye takes in a distinct and unique coloration for every single bear. 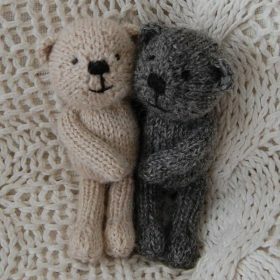 Each teddy bear is then hand crocheted, using our own design and the cute expressions created with hand made glass eyes and carefully embroidered wool noses. View the ever increasing collection now.